Training at the Iron Lion Studio has had a remarkable impact on my life. Before I started working out at the Studio, I was very active and always busy but taking less and less time for myself. Getting on the treadmill a couple of times a week wasn’t having any measurable effect except for adding another line item to my calendar. I was ignoring the after effects of rotator-cuff surgery and all the little aches, pains, and strains that sneak in as you age. It was a major challenge for me to find two hours a week I could spend for real fitness training and I wasn’t very enthusiastic about adding a new challenge in my already packed schedule. Nevertheless, concern about getting old too fast motivated me to find the time and now I feel as if I’m aggressively and successfully attacking the aging process. While I’m still a work in progress, training with Jason has dramatically improved my core strength which translates into improved health, outlook, and appearance. My bone density has increased at an age where medical specialists believe it always diminishes. I wouldn’t hesitate to recommend the Iron Lion Studio and Jason Therrien to anyone interested in improving and enhancing their fitness. The benefits are measurable and remarkable. Working out is more than just getting your heart rate up and doing some push-ups. It requires a course of strengthening, agility, balance, and fitness exercises. Jason will customize a program that targets problems and weaknesses while enhancing strengths. He has an amazing talent for motivating the fitness challenged and making the process effective and rewarding. Backache: down from paralyzing backaches every 6 months for 30 years, to none for the last two years. Weight: down from 203 lb three years ago to 160 lb for the last two years. Endurance: Pikes Peak Barr trail, down from 9:30 hr in 2005 to 5:40 hr in 2008. I have known Jason now for several years, and I can attest that he is extremely competent, serious, attempt and caring in his work.Jason possesses a depth of scientific knowledge about the human body and nutrition that he is able to translate and apply to real life conditions and that he can clearly convey you. Normally someone (like me) which is not in top physical shape may be intimidated by a person like Jason, by his perfect health, confidence, muscles and brains, but instead Jason comes through with such humor, warmness, patience and sympathy that he will make you feel completely at ease about your own physical condition. During the performance of your exercise, he might converse and laugh with you but his eyes won’t leave you for a second, ready to correct your movements so that you will keep and continue keeping the proper form and never risk an injury. I can’t but recommend Jason to anybody who wants to become a stronger and healthier person. I have been working out for and considered myself fairly healthy, but wanted some professional input on my routine. Jason quickly identified several problems in my form that I had been aware of, but unsure of how to correct. After 3 weeks I already feel better about my workout and general state of health than I have in years. I feel I have learned ways to better preserve my health and have a clearer picture of what to focus on. I have been working with Jason as my trainer for more than three years. Over the years I have worked with other trainers and quickly lost interest when I saw no results and felt that the hour long sessions were monotonous and boring. The amount of time I have spent with Jason is a testament to the quality of the training – the hour flies by, and I leave each session feeling strong and powerful. I have seen the results not only in the mirror, but in my other activities. My skiing and cycling have taken on new levels which I did not believe possible. Additionally, Jason’s knowledge of anatomy and nutrition has helped me to avoid injury, and to understand and be mindful of how what I put in my body has a direct correlation to my health and physical fitness. While attending the Army’s Sapper Leader course, one of the toughest training courses available, I injured my shoulder. I needed help to get the strength back in my shoulder to do my military work and the things that I love like mountain biking, skiing and climbing. Jason was the perfect solution to this injury. 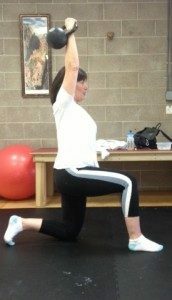 He provided me the perfect exercises and education of how to get my strength and mobility back. His is increasingly knowledgeable and catered to my specific needs. Thanks to him I know I will be performing as good as new again! During this past year I have had the opportunity to strength train with Jason Therrien. 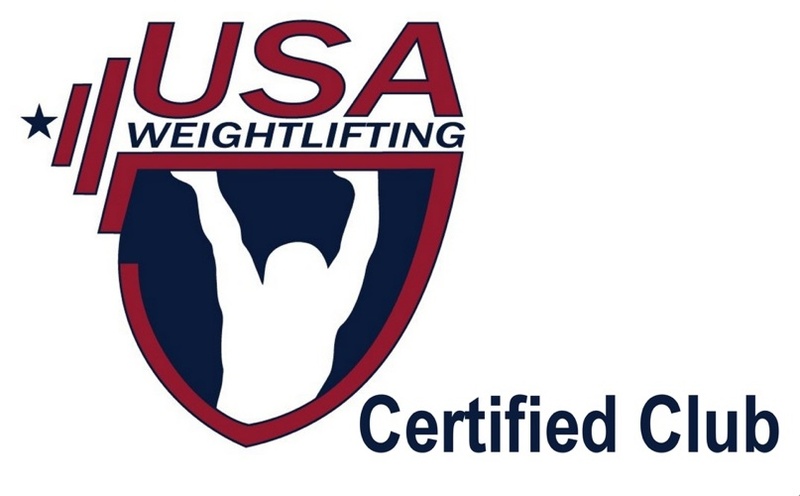 Not only have I discovered the gratification that comes with lifting weights, but have also learned to develop a healthy respect and appreciation for the training process and how hard work ultimately yields rewards. The skills learned here can be applied to all everyday mechanics of life and improves one’s physical awareness as an individual. Jason is a very patient and knowledgeable instructor and I have thoroughly enjoyed my time training with him. Under his guidance I have enhanced my skills in the sport of volleyball and have, simply put, accomplished more than I ever thought possible in the world of fitness. It’s something I hope we continue to pursue in the years to come. The Iron Lion – Kettlebell and Holistic Bodywork Studio is “one stop shop” for mind, body and soul. The owner Jason Therrien introduces you to what core strength is all about and applies that knowledge to everyday life. I now understand how the anterior and posterior chain works on my mountain bike, when I am skiing and trail running. Jason will take you to the “meta” level of better lending athleticism through his passion and knowledge of Kettlebells, strength and endurance training. He will teach you diet basics that are easy to understand and will help you be mindful when cooking and eating. Jason’s training is a cornerstone to my daily practice when I am indoors doing the dishes or outside climbing a mountain! No matter what athletic level you are in your present day life Jason will take you to the next level and has helped me become a better athlete. My son suffered a severe brain injury a number of years ago. 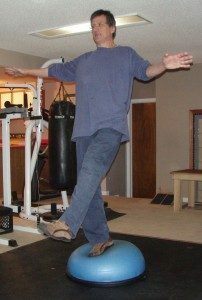 After two years in a wheelchair, he began walking again, but his balance, coordination, and strength were significantly compromised and we were told that he had probably recovered as much as he would. After working with Jason for a year and a half, my son’s balance, strength, coordination and overall health are greatly improved. He is even snowboarding again. In addition to Jason’s knowledge and competence, his patience and encouragement are remarkable. My family is very grateful to Jason for improving our son’s quality of life. Years after my collegiate competition days have ended, I have begun to feel stronger then I did back then through training at Iron Lion Studio with Jason. More importantly, his training is helping to protect my body from the risk of injury in the activities I do today. Jason starts off with basic movements that will become the fundamentals of the exercises he teaches and of basic every day movements. He encourages you to be aware of how your body feels and is constantly checking in with his client to assess that. 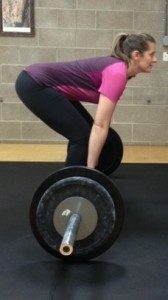 He uses that feedback with his avid attention to detail to guide his adjustments to your technique to make sure you are getting exactly what you should from each exercise. His holistic approach ensures you are improving your strength, flexibility and balance while incorporating correct breathing methods. Iron Lion has been extremely beneficial for the hobbies I love such as mountain biking, trail running, snowboarding and rock climbing. I began working with Jason several years ago, and my only regret is that I wish I had started sooner! Jason’s professional dedication to teaching others how develop and maintain overall physical strength, health, and endurance reflects his passion for fostering transformations in others. Jason’s consistent and insightful training has been instrumental in helping me improve my core strength, balance, and overall fitness level. His keen ability to pinpoint weak areas, observe and correct movements, and inspire improvement is remarkable. His instruction has been the key to my recovery and re-habilitation from major rotator cuff surgery, ruptured vertebral discs, and a total hip replacement. 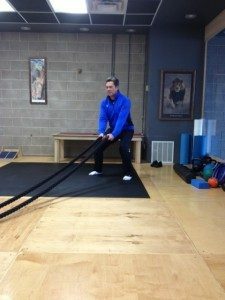 My transformation is an ongoing process, as I learn to prevent physical limitation through guided strength training, realizing my hope of being able to be fit and active and strong well into my 70’s and beyond. Jason has given me tools to develop and maintain mental and physical strength, and the realization that constant refining of my training regimen is part of the journey. I began working out with Jason at Iron Lion studio over five years ago following MCL surgery. My customized strength and physical therapy sessions following surgery cut my recovery time in half. Today my knees are solid and I enjoy an active Colorado lifestyle including skiing, hiking, and golf. Jason tailors my work outs during the year to get me in the best pre-season shape for skiing and golf. 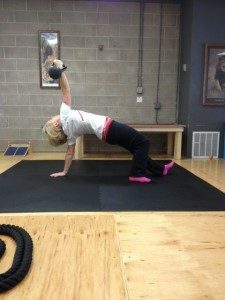 For golfers, I would say that Russian Kettlebell training has not only improved my drives between 15-20 yards on average (through strengthened core and increased flexibility in the back swing), but I no longer have to worry about lower back pain when I get to the back nine or when walking 18. I started working out with Jason almost three years ago when painful knee problems were keeping me from activities I enjoyed. After careful assessment of my issues Jason put together a fitness and strength program that has made a tremendous difference for me. I am able to walk for hours–pain free, and I can even ski with my family again. Jason constantly changes elements in the workout to challenge and motivate me, and I can feel the results. I have more endurance, I sleep better, and I can definitely throw my heavy carry-on bag into the plane’s overhead compartment more easily. A big improvement in my bone density test scores was a bonus this year, and my doctor and I both credit the weight training with Jason for those numbers. Jason carefully monitors every move I make during the session and provides feedback and encouragement. I believe he is dedicated to helping each client achieve the best results possible, and I appreciate the opportunity to continue working with him. Jason Therrien is passionate and knowledgeable about helping people become the healthiest they can be. I have worked with him throughout my entire high school career. I know my success as an athlete was greatly due to him. His deep understanding of how to maximize ones own potential in a safe and fun way encouraged me to lead and active lifestyle beyond high school athletics. After seeing my development the majority of my family started to work with him. Your health is an important asset and Jason is the only person I trust to instruct me to keep in the best possible shape I can. Before coming to Jason I was seeing a Chiropractor regularly for back pain. I have not seen or thought about a Chiropractor since training with Jason these past three years. My posture has dramatically improved and I am sometimes told by friends that I look taller. I sometimes show up for an appointment not feeling well but when I do; 30 minutes into the workout I feel 10 times better! 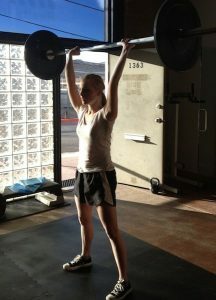 I am a lot stronger now and am not afraid to pick up heavy objects. In essence my confidence level has improved commensurate with becoming stronger and more coordinated! Because Jason is so goal oriented and serious there has never been a session where progress was not achieved thus, “the sky is the limit with Jason”.